Overlooking from the high steps of the spectacular Prema Sarovar, we gather to commence another day of meditations together. Maharaj begins with an ecstatic explosion of kirtan that gets all the devotees on their feet. It comes to a close, or so it appears, till Maharaj starts round two; such nectar! As we all gaze around to appreciate the beauty of Prema Sarovar, Maharaj comically reminds us, “This beautiful architecture is connected with the land of Krsna, totally perfect for a Facebook profile photo!” Maharaj commences our reflections for the day by reminding us of the origins of Prema Sarovar, one that was created by separation, separation from Krsna (viraha bhava), “When you feel separation from Krsna, this is supposed to be the highest feeling, but how? 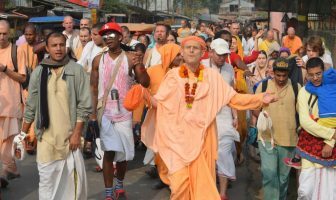 Separation isn’t fun?” Maharaj continues that this is because when we are separated from Krsna, we are constantly thinking of Him, chanting His holy name, and through that He is present with us, giving us that nectar we are always craving. So, Maharaj neatly summarises how separation on the spiritual platform leads to remembrance, which thereby leads to the highest form of ecstasy! We move on to the story of an opportune bumblebee, who at the sight of Radha and Krsna decides to circumambulate them three times. When Madhumangala offers his assistance in shoo-ing the bumblebee away, he celebrates by informing the divine couple, “This Madhusudhana is gone!” Mistaking the bumblebee (Madhu-sudhana) for Krsna (killer of the demon, Madhu), a disturbed Radharani lets a sea of tears to flow from her eyes at the thought of separation from Krsna. 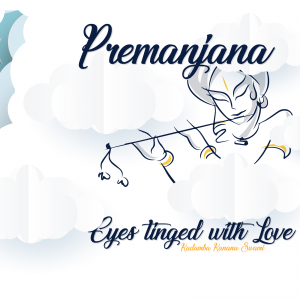 Upon seeing Radharani in such an emotional state, streams of tears also started to flow from Krsna’s eyes. 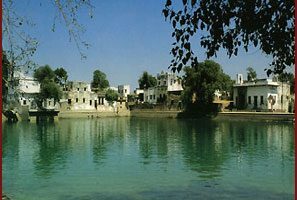 These transcendental tears being a product of intense separation and love then formed the first waters of Prema Sarovar, following which all the holy rivers attended a pilgrimage to Prema Sarovar to purify themselves, further adding to these holy waters. 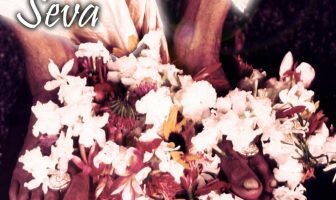 Maharaj introduces our theme for Prema Sarovar, being that Krsna is the best friend of all living entities. He continues that Krsna, being omniscient, is always present for his devotees, whether it is Radharani or a bumblebee. He never forgets His devotees, knowing our deepest desires and thoughts, he seeks to fulfil them, and is constantly looking to offer a path for us conditioned souls to return back to Him. So, we meditate on our individual relationships with Krsna and reflect on how close we truly are with Him. He is available to us. He understands our ordeals, regardless of how mundane they might be. He offers us a shelter. He cares for us. 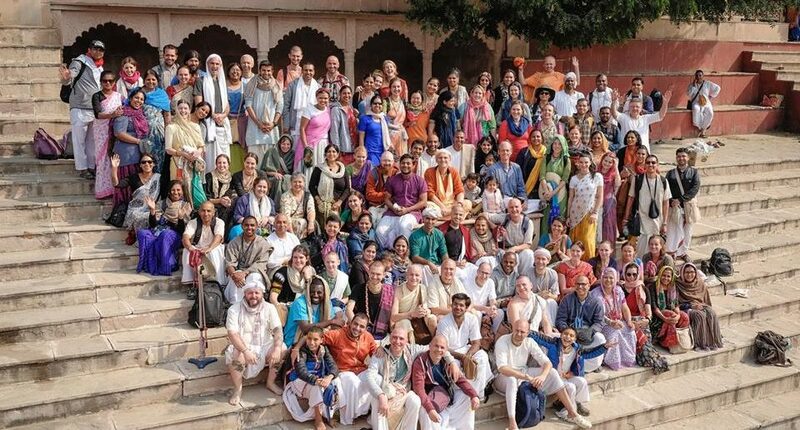 Maharaj then brings together all the devotees in this year’s Vraj Parikrama, all 140 of us, to capture an iconic moment together on the steps of the Prema Sarovar. This causes us to remember that while we all originate from different countries and come from different walks of life, our hearts beat as one and we share a common purpose moving forward, to capture Krsna as our best friend. So, in this way the culture of the spiritual world manifests itself in the dhama and within our movement. 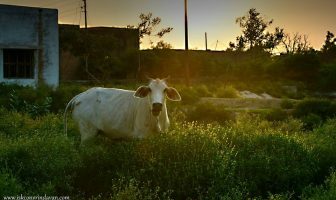 A picturesque walk across the fields of Ter Kabamba where Krsna used to herd his cows, leads us to a sarovar behind the temple where we are first welcomed by a large black snake who crosses our path. We spread out the mats under the scorching sun and some technical difficulties later, we are all ready to begin our final meditations for the day. Maharaj provides that it is understood that Srila Rupa Goswami wrote his Bhakti Rasamrita Sindhu and proceeds to read about this book. 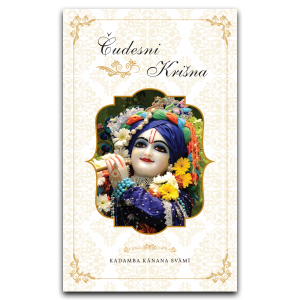 He emphasises the need to steadily grow through devotional service and how material happiness means nothing to a Krsna conscious person. Some more pearls are passed on by Maharaj about the proper execution of devotional service through our senses. Shortly after, we were graced by a local baba to a skit and some prasadam, following which we walked back across the fields in one queue, with harinama along the way and meditations back to Vrindavan. What is reality and what is the dream?